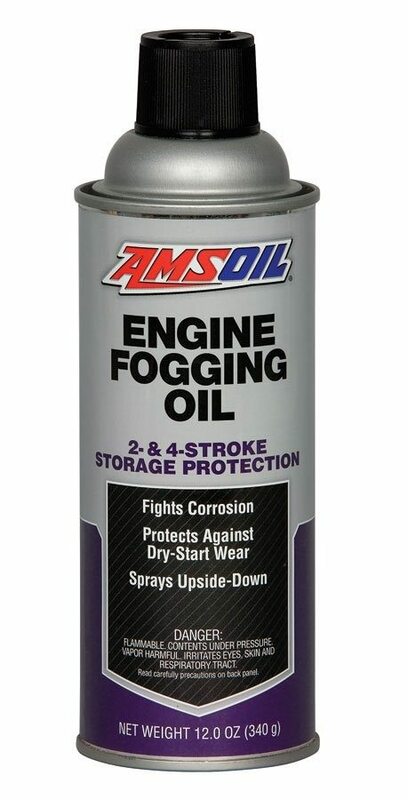 AMSOIL Engine Fogging Oil (FOG) offers superior film retention, providing long-term protection against corrosion and dry starts, extending engine life and reducing operating expenses. 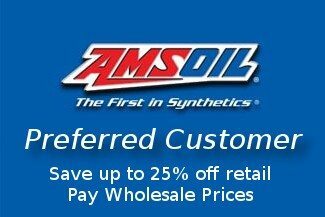 Its aerosol spray formulation offers easy and clean applications while reaching more components and offering complete distribution of the oil, something especially beneficial in applications with horizontal cylinder orientation, such as outboard motors. Its all-position spray valve allows you to spray at any angle – even upside-down. Consult equipment owners manual for application directions. Remove engine air filter or air intake housing and start engine. 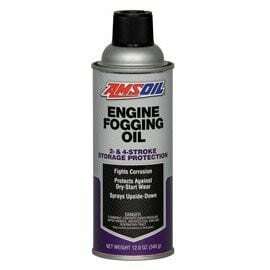 With engine running at a fast idle, spray AMSOIL Fogging Oil continuously into carburetor(s) until presence of smoke from exhaust. 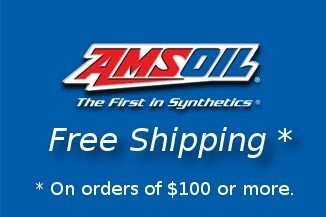 Remove spark plug(s) and spray liberally into each spark plug hole. Slowly turn engine over several times either by hand, rewind or electric starter. Replace spark plug(s) and air filter or air intake housing.